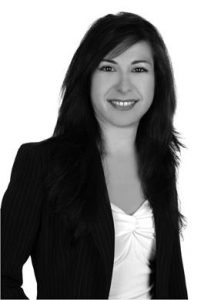 Elina joined Grant Thornton in 2003. She is currently a Director in the Transactional Advisory Services department in Greece. She is a CFA charterholder and also holds an MSc in Banking and Finance from the University of Piraeus. Elina is a member of the CFA Institute, the Economic Chamber of Greece and the Institute of Certified Public Accountants of Greece (SOEL). Samples of her work include financial due diligences, valuations for M&As and IFRS purposes, purchase price allocations (PPAs), independent business reviews (IBRs), business plan reviews and compilations as well as preparations of the report on listing on the Alternative Market (ENA) of Athens Stock Exchange. Sectors of expertise include: Hotels, Airlines, Constructions, Logistics, Renewable Energy Sources, Food & Beverages, as well as Financial Institutions. Her main experience in the hotel sector relates with M&As, valuations, due diligences and business plans. She also participates in the global industry team of Grant Thornton International for travel, tourism & leisure.